The Democrat-led House of Representatives has voted to extend the Bush-era tax cuts for families making $250,000 or less - but not on incomes above that threshold, as Republicans have demanded. The vote is likely largely symbolic, since the bill is unlikely to get the 60 votes it needs to break a GOP filibuster in the Senate. 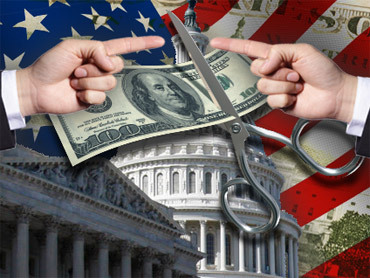 The Obama administration and Congressional leaders are now in negotiations on crafting a compromise between the White House position that the cuts not be extended for incomes above the $250,000 threshold for families (or $200,000 for individuals) and the Republican position that they be extended for all Americans. Most political observers expect Democrats to agree to extend the tax cuts for all Americans at least for a few years, possibly in exchange for GOP votes on Democratic priorities like ratifying the START nuclear treaty with Russia or extending unemployment insurance, which expired on Tuesday. The White House says there is no deal imminent, however. "The President continues to believe that extending middle class tax cuts is the most important thing we can do for our economy right now and he applauds the House for passing a permanent extension," press secretary Robert Gibbs said in a statement not long after the vote. "But, because Republicans have made it clear that they won't pass a middle class extension without also extending tax cuts for the wealthy, the President has asked Director Lew and Secretary Geithner to work with Congress to find a way forward. Those discussions started just yesterday and are continuing this afternoon. The talks are ongoing and productive, but any reports that we are near a deal in the tax cuts negotiations are inaccurate and premature." Before the vote, House Minority Leader John Boehner called the effort "chicken crap" that reflected "political games" on the part of Democrats. Boehner will be House speaker when Republicans take over the chamber in January. The final vote was 234-188, largely along party lines, with 12 members not voting. President Obama dispatched Treasury Secretary Tim Geithner and the Director of the Office of Management and Budget, to oversee negotiations on finding common ground on the issue earlier this week, following a meeting with Congressional leaders from both parties. The Treasury Department says the cost of making the cuts permanent for everyone -- the GOP plan -- is $3.7 trillion over a decade. The House plan would cost an estimated $3 trillion over ten years. MONEYWATCH: Are You Middle Class?